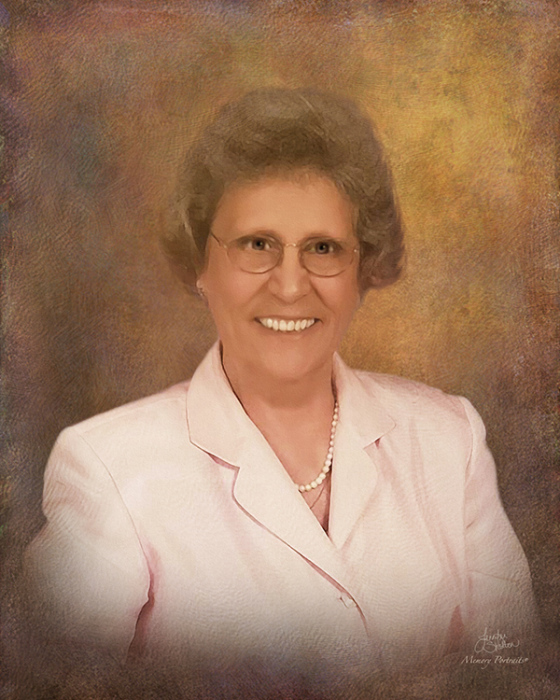 Obituary for June Buckner | Rushing-Estes-Knowles Mortuary, Inc.
Eddie June Buckner passed on to her Lord on April 16, 2019, in Uvalde, Texas at the age of 90. June is survived by her children Robert “Bob” Buckner of Bellville, Texas; Darlene Shahan of Brackettville, Texas; her sister Sandra Tyler and brother Kenneth Koenning. She is preceded in death by her husband Benjamin “Bennie” B. Buckner and brothers and sisters: Harold Koenning, Arlene Korenek, Marilyn Adams, Carlton Koenning, Orville Koenning, Edward Koenning and Jerry Koenning. She is survived by grandchildren: Jenifer Shahan McIntosh of Lakewood, Colorado; James T. Wil Shahan of Bigfoot, Texas; Jared Ty Shahan of Lavernia, Texas; and Krista Nix Buckner of Cypress, Texas. Also fourteen great-grandchildren: Benjamin, Hayden, Harper, Raegan, Addyson, Carsyn, Reese, Tristyn, Avery, Sienna, Jack, Katy June, Sophia and Bayleigh who were all greatly loved by June. June was born at home on June 1, 1928, in Yoakum, Texas, to Edward John Koenning and Marie Matilda Boedeker Koenning. She graduated from Baptist Nursing School as a Registered Nurse. She and Bennie married and spent many years in San Antonio where she worked at Texas State Mental Hospital, Lutheran General Hospital, Robert B. Green Hospital and then was a director at the Bexar County Hospital. After moving to Uvalde, Texas, June served as Director of Nursing at Uvalde Memorial Hospital and helped Bennie run Buckner Grocery on High Street. They then moved to the mountains in Red River, New Mexico, and June continued her nursing career in Espanola, New Mexico. They then moved to Sattler, Texas on the Guadalupe River and eventually planted roots in Lavernia, Texas. June was a resident at Veranda Assisted Living Center in Uvalde for several years before her death and enjoyed music, church services, exercise and bingo!! Her family appreciates the kind attention and care given their mother, grandma June and great-grandmother by the staff and fellow residents at theVeranda. A graveside service is planned for Saturday, April 20, 2019, at 1 p.m. at Sunset Memorial Park located at 1701 Austin Highway, San Antonio, Texas. Nathan Lafrenz will officiate the ceremony. A reception will follow the graveside service at June's house, 234 Deer Ridge Dr., La Vernia, TX 78121. All are welcome to attend and celebrate June's life. In lieu of flowers, please send donations to Uvalde Memorial Hospital Hospice at 1025 Garner Field Road, Uvalde, TX 78801.